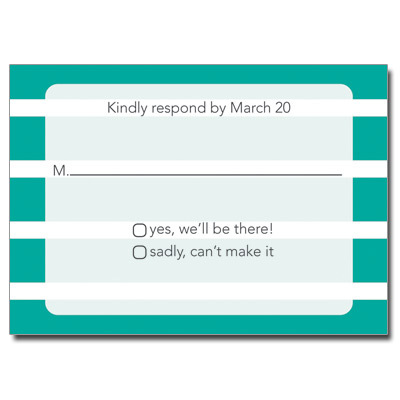 This First Communion invitation has a teal background with white stripes evenly spaced horizontally across. 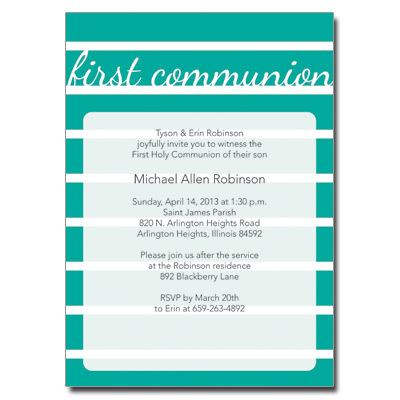 The words First Communion are in script across the top in white and the event info is printed in black in a white box with rounded corners. 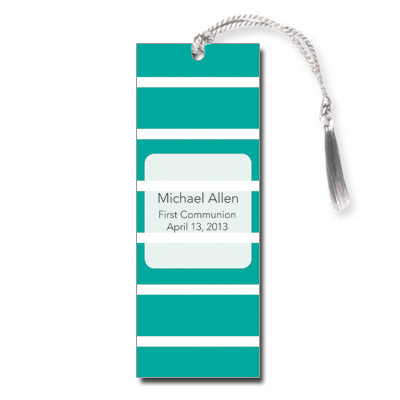 A perfect and hip way to announce your First Communion event. 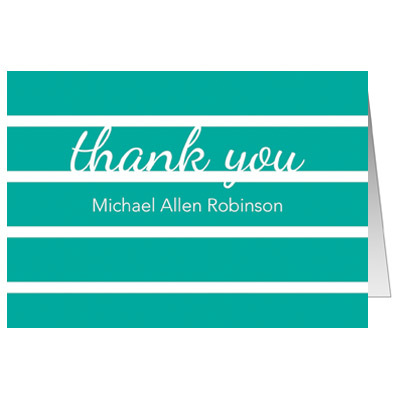 Card measures 7x5 inches and includes matching envelopes.